The main event of LFA 66 will bring a featherweight showdown to the Salt Lake City metro area when top undefeated prospect Jon Neal squares off with UFC veteran Tyler Diamond. LFA 66 - Neal vs. Diamond takes place Friday, May 10th at the Maverik Center in West Valley City, Utah. The entire main card will be televised live and nationwide on AXS TV at 9 p.m. ET / 6 p.m. PT. "I am excited to bring LFA to Utah on May 10th," stated Ed Soares, LFA CEO. "Jon Neal and Tyler Diamond are two of the top featherweight prospects in the world. Neal is Utah's top prospect and Diamond is a UFC veteran, who was just a semi-finalist on The Ultimate Fighter 27. 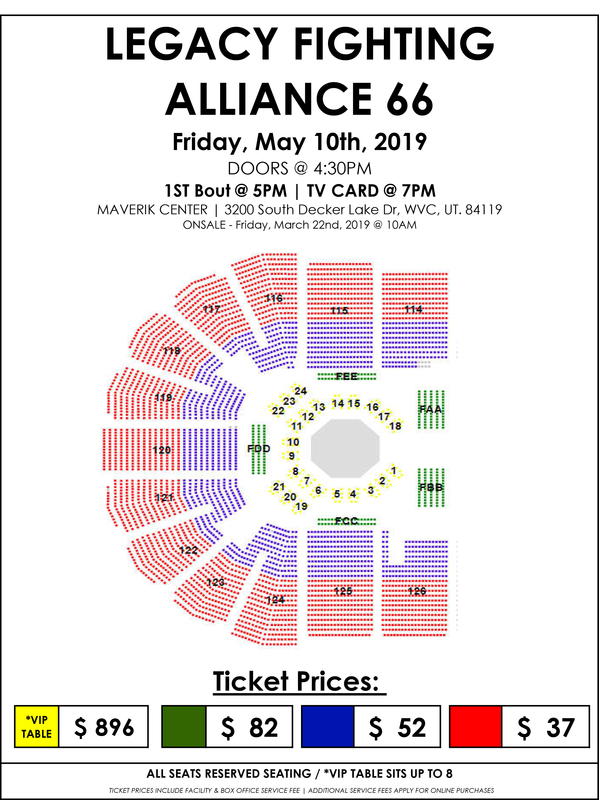 This will be an incredible main event for our first trip to Utah at LFA 66." Neal (10-0) is the top prospect to hail from the state of Utah. The 30-year-old Ogden native has ran roughshod over the competition inside the "Beehive State" for over a decade. In fact, his LFA debut will come exactly eleven years after he made his professional MMA debut. Over the years, Neal has won regional titles in the state in multiple divisions, while picking up notable wins over Showdown Fights veteran Scott Casey and RFA veteran Jordan Clements. The One Hit MMA product has emerged from a decade-plus of wars with an unblemished record and an unquestioned claim to the throne atop Utah's rugged MMA scene. Now the Aldo Oreggia protégé is looking to announce his arrival to the global MMA scene with his national television debut at LFA 66. Diamond (9-1) will make his highly-anticipated LFA debut fresh off an impressive run on the UFC's hit reality show The Ultimate Fighter 27 (TUF 27). The 28-year-old Team Alpha Male product used a Guillotine Choke to submit LFA standout Dulani Perry in the quarter-finals of the tournament, which featured an entire cast of undefeated fighters. Diamond would bow out of the tournament in the semi-finals, but returned for the UFC - TUF 27 Finale. Diamond fought former RFA/Legacy fighter Bryce Mitchell in a three-round war, but came up short when the judges awarded Mitchell a narrow Majority Decision. Now the former NCAA Division I wrestler is looking to rebound from his first career loss with an impressive LFA debut on May 10th, when he headlines LFA 66.